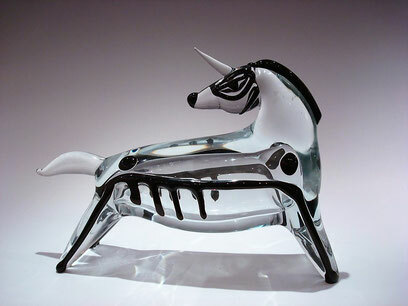 Ermanno Nason, was born on the island of Murano in 1928, into a family of famous glass-makers. He started work in the glass furnace when he was 9 and passed his exam as maestro when he was just 18 years old. His talent was clear from the very beginning, in particular in his creations of the human figures and animals. From 1952 to 1957 he was maestro at Mazzega and, then, he set up a company with his brother-in-law Scarpa: the V.A.M. He worked at "Cenedese" from 1964 to 1972. Thereafter, he had his own business, “Arte Ermanno Nason” from 1973 to 1992. 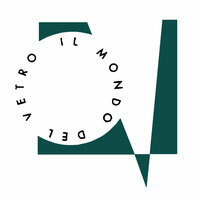 His fame is intricately connected to his collaboration with “Centro Studi Pittori nell’Arte del Vetro” founded in 1951 by Egidio Costantini, and later called “La Fucina degli Angeli” where he worked with the greatest artists of the period, using their designs and projects for his creations in Murano glass. Ermanno threw himself into his work with both enthusiasm and courage, creating such a vast variety of works that one remains speechless in the face of such omnivorous curiosity and vitality.